El Estudio is offering GYROTONIC® & GYROKINESIS® Teacher Training and Continuing Education Courses . Here you can check our schedule. Continuing Education course, valid as an update for GYROKINESIS license. Its contents are, among others, Metamorphosis, Cervical Program and Nerve Strengthening Sequence. In 1998 she opened her own Studio for GYROTONIC® in Berlin. 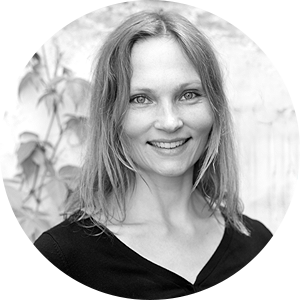 In 2006, after many years of studying with Juliu Horvath, the founder of GYROKINESIS®, Anke Hauerstein was certified as a Gyrokinesis Master Trainer, and now provides a complete education in Gyrokinesis. In 2011 she became a Specialized Gyrokinesis Master Trainer, granting international Gyrokinesis certifications. Since 2009 Anke Hauerstein certified as Gyrotonic Master Trainer and teaches also the education for Gyrotonic .